Bathroom Vanities and Accessories Design and Tips | DecorPlanet.com Blog: Where does your toilet go when it needs to be recycled? Where does your toilet go when it needs to be recycled? With the advent of water-saving toilets and other eco-friendly designs, landfills and other waste facilities around the country have been looking for ways to get rid of these old appliances. To encourage people to switch to new low-flow designs that save water and energy, waste planners have had to find an equally sustainable method of getting rid of the old commodes. According to 11Alive.com, Gwinnett County, Georgia, has now begun an extensive toilet recycling program to take care of the piles of porcelain eyesores. Every bit of the old toilets are broken down and can be used to manufacture new products. Bill Hallman, with the county's Department of Water Resources, has commissioned several public workers to begin the satisfying task of breaking down the toilets with a sledgehammer. Then, the small bits of porcelain and plastic are sorted and recycled into new products like counter tops, porcelain chips and many other consumer products. "Recycling it, it's going to be be used constructively, so everybody wins," Hallman told the news source. "We're looking to save the county money. We're looking to make good usage of our water." 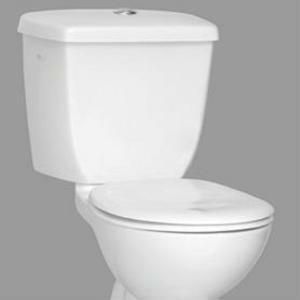 The influx of recyclable toilets is due in part to the county's toilet rebate program, which deducts $100 from a resident's water bill in return for the ability to recycle their toilet. The program, which is only a year old, has already recycled more than 3,000 toilets and the community has added nearly 11,000 new commodes. All in all, this energy-saving venture now saves the county more than 200,000 gallons each day. While Gwinnett County is doing the right thing for the environment, your community may not be following their lead quite yet. GreenYour.com suggests calling your city's recycling center first when you want to recycle your toilet to see if there is a program set up for your area. If not, then it may be wise to contact your solid waste service provider to find a sustainable method of disposing of the appliance. With the countless new low-flow toilets that are being installed all over the country, you may be the next person who needs to recycle an old john. Thankfully, there are many new recycling programs popping up across America each day to give your throne a dignified death.